Job search: We’re looking for someone to be our Beaver! If you’re thinking of becoming a landlord, it’s crucial you understand the law regarding building regulations. The rules are in place to ensure that buildings meet a certain standard of safety to protect residents and members of the public. Landlords that fail to comply with building regulations are not only putting tenants at risk of danger but could face significant fines and even prosecution. Before purchasing a property to rent out or making any changes to an existing property, we recommend you familiarise yourself with the Governments’ building regulations below. Note: This guide is only valid for buildings in England and Wales. Landlords in Scotland and Northern Ireland check the building regulations in their area before carrying out any building work. What building work do landlords need approval for? If you are considering making changes to your building, you may need approval from building regulations before construction work can legally take place. This is so they can ensure the changes you want to make are safe to do so and comply with the law. 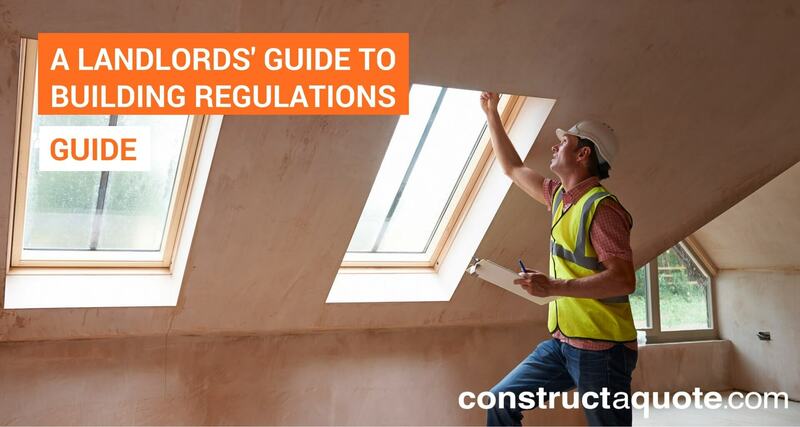 Building regulations are different to planning permission and landlords should check what approval is needed for the work they want to carry out. What type of work is covered by building regulations? Even if you are planning on adding or altering something which is not included in the list above, it is a wise idea to check with building control first if you are unsure whether approval is needed. If you are using a competent person to carry out the work, you will not need to get approval yourself as they will do this for you. If emergency repairs are needed for the heating system or boiler, building regulation approval is not required, but only a registered gas engineer must carry out the work. 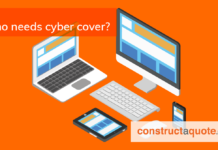 What type of work is not covered by building regulations? If the work is not covered by building regulations, you do not need to apply for approval. You are also not required to apply for approval if the work is carried out by someone who is registered with a competent person scheme. You can find out more about planning rules, permitted development limits and building regulations for most common building work projects on the Planning Portal. The property must meet safety and energy efficiency standards even if formal approval is not needed. Who should carry out the building work? If you have established that the work is covered by building regulations, you’ll need to get approval before starting the work. If you do not want to apply for approval yourself, you can hire a qualified tradesperson that is registered with a competent scheme to do the work for you. Competent person schemes are a type of accreditation for tradespeople to prove their skills and ability to carry out specific jobs. 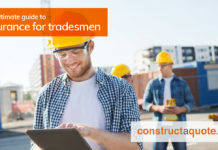 To be a competent person, the tradesperson must carry out the work to a good standard that meets building regulations. If the tradesperson is registered with a competent scheme, they can self-certify that the work they are carrying out complies with the law. This means they have the freedom to carry out the work without an initial approval- providing it meets building regulation requirements. A qualified, competent tradesperson will also know how to deal with any disputes and objections. They can also inform your local authority about the work on your behalf and provide you with a certificate of the work within 8 weeks of completion. The certificate can be used as evidence of compliance and will appear in solicitors’ searches if you decide to sell your home. If there are issues with the results of the work provided by the tradesperson, competent person schemes have insurance-backed warranties and complaints procedures in place to help landlords. You can find a competent tradesperson by searching the Competent Persons Register. If you already know a tradesperson that you’d like to use, check that they belong to a scheme before agreeing they can do the work. How should landlords apply for approval? To apply for building regulations approval in England and Wales, you will need to contact a ‘building control body’ (BCB) to check the building regulations or apply for approval of the work you wish to carry out on the property. The BCB may require you to make some alterations before they can agree that the work complies and issue you a regularisation certificate. You can apply through a local authority BCB such as your local council, or you can apply through a private BCB inspector. A private inspector will inform your local authority with an ‘initial notice’ of the work you intend to do. Before applying for approval, you need to decide which type of application is best suited for the building work you want to carry out. This option is the most in-depth and thorough option. A decision is usually made within 5 weeks, or 2 months with your consent. A completion certificate is also provided within 8 weeks of the building work completion date, providing it complies with the regulations. This type of application is only for smaller projects and work can start as early as 2 days after notice has been submitted to the BCB. A formal approval is not provided for a building notice. Retrospective approval for work already carried out without consent can be applied for via the regularisation option. This can only be applied for through a local authority BCB and only applies to work carried out after 11th November 1985. How much does building regulations approval cost? total floor area of where the work will take place, e.g. an extension. 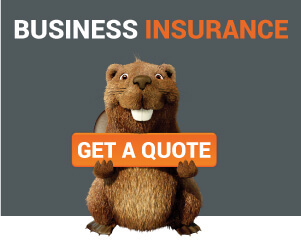 If you’re planning on using a private BCB to approve the work, they will negotiate their fee directly with you. How can landlords make a building regulation appeal? If you think your project shouldn’t have to comply with building regulations, you can make an appeal. You can do this by asking your local authority to ignore one or more of the building regulations if you think your project shouldn’t have to comply with them. If the local authority responds informing you that you still need to comply, you can then appeal to the government within 1 month. A private BCB cannot ignore the building regulations, and only a local authority BCB or the government can be asked. If you are denied building regulations approval, and you think the BCB decision is unfair, you can ask for a ‘determination’ by the government. To do this, you will need to review the guidelines and complete an appeal form, here. Unless the work on your building is for a disabled person, you will need to pay a fee when asking for determination. You can find out more about making an appeal here. What happens if I don’t comply with building regulations? The local authorities have the power to enforce the building regulations in their area by whatever means possible. The local authority may prosecute both the landlord and the installer (builder, contractor etc.) in the Magistrates’ Court where an unlimited fine may be imposed on them under sections 35 and 35A of the Building Act 1984. 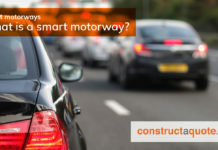 A prosecution can take place within two years of the offending work being completed. The local authority may serve an enforcement notice to the landlord requiring alteration or removal of the work that does not comply with the regulations (section 36 of the 1984 Act). If the landlord does not undertake the work set out in the notice, the local authority has the power to conduct the work itself and recover the costs of doing so from the landlord. If the building work does not comply with building regulations, a compliance certificate will not be issued. This can affect your house being sold in future as there will be approved certificate available to solicitors when undergoing local land search enquiry.